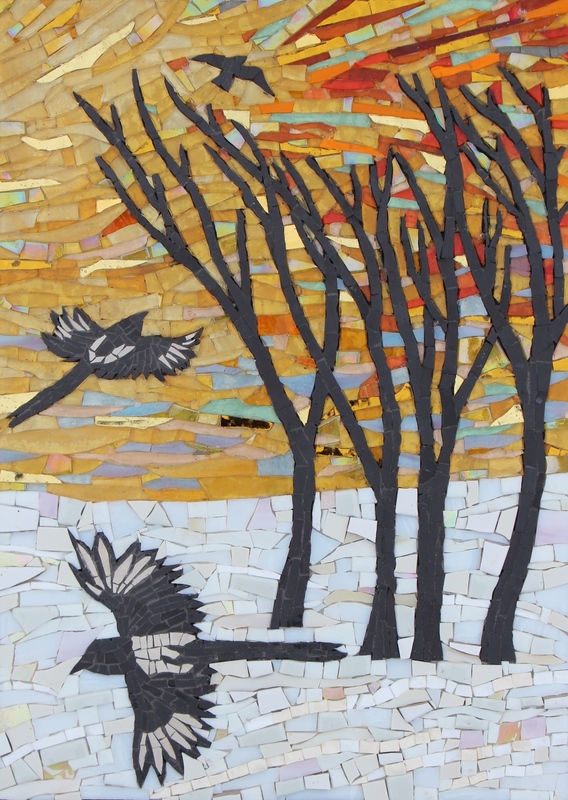 Here’s my latest mosaic created for RHS Harlow Carr mosaic exhibition, 9 February – 3 March 2019. Works by more than 20 Yorkshire-based mosaic artists, all members of the British Association for Modern Mosaic, will depict a selection of ‘lost words’ – those words related to nature and the countryside – pasture, heron and conker for example – which have been removed from the Oxford Junior Dictionary in recent years and are said to be disappearing from children’s lives in favour of more ‘virtual’ words including analogue, voicemail and blog. Venue: RHS Harlow Carr, Old Bath House, Harrogate, North Yorkshire.